Tim Kask has been a part of our hobby since the very beginning. 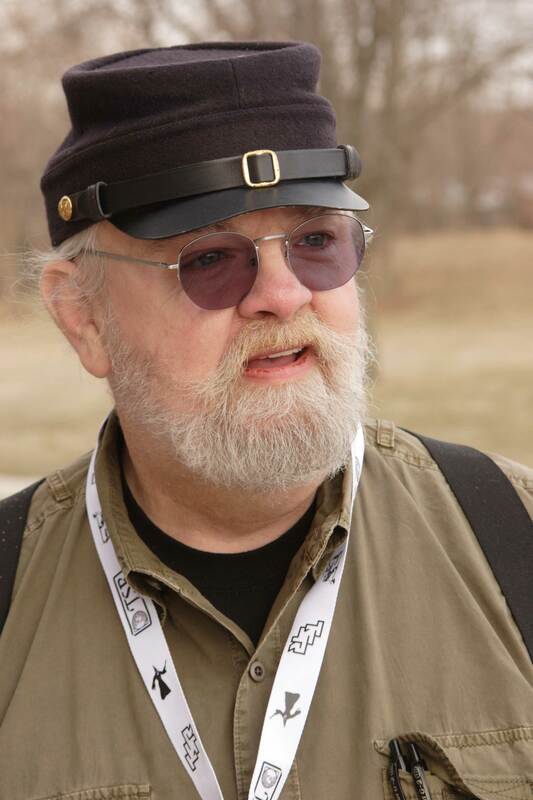 He was hired by Gary Gygax in 1975 as an editor at TSR which makes Kask the first full time employee of the company. He had his hands in many of the projects that we all know and loved while growing up during the early years of Dungeons & Dragons (and still do! ), including editor of the first 33 issues of The Dragon magazine.. When Tim left TSR in 1980 he created and published Adventure Gaming magazine. Currently, Tim, along with Frank Mentzer, Jim Ward, and Chris Clarke, are publishing material through their company, Eldritch Entertainment. He's also a contributing editor for Gygax Magazine. Tim can frequently be found at gaming conventions across the country running games in the great 'Old School Tradition' which he was among the first to create and play 40 years ago. Before returning the interview, Tim asked me to define my final interview question concerning Desert Island Media. So in honor of Tim's participation I have changed the final question and it is now the Lost In Space Survival Question. Tim, thank you for participating in this interview! If you ever find yourself back in my neck of the woods again, please give me a shout and I'll set us up with a fishing trip you're gonna remember! I look forward to hopefully sitting at one of your tables at the next Gary Con (which I WILL NOT miss again!).Thanks. Tim: Army men from TimMee Toys and MPC, the Blue & Gray play set (with firing cannons) and the Prince Valiant play set with the tin castle (and catapults that fired). Tons of war movies were made when I was a kid, and my folks took us to the drive-in movies a lot in warm weather. I also developed an interest in military history at a young age. The army-men were a means of recreating battles as well making up my own. The PV set made me love the movies like Ivanhoe and the like, and I recreated them as well. The B&G set was an entirely different matter; it had cannons that fired. It was only much later that I learned that I had created my own version of HG Wells’ Little Wars in my younger siblings’ sandbox. One of the cannon types’ bore exactly matched the diameter of a “ladyfinger” firecracker. I had real, although tiny, explosives. If they knocked over a figure, it was dead. I most played solo. That was a result of several factors, chief amongst them that I went to a Catholic school and had no classmates closer than four or five blocks away. My parents were beginning to get concerned about the time I turned 11 or 12 and was still playing in the sandbox. Not long after, I found Avalon Hill’s D-day. What were your favorite films or TV during childhood and what age were you for each favorite? Tim:My family did not watch much TV when I was little. The big deal each Sunday was Disney, so I really loved Fess Parker as both Davy Crockett and Daniel Boone. My TV was Sat. morning cartoons, especially Mighty Mouse. Mighty Mouse is probably a prime example of what made PTA ladies campaign against violence on TV. MM slaughtered the evil cats by the literal heaps with tanks, dive bombers, machine guns and artillery. Merrie Melodies and Popeye rounded out Sat morning. Popeye battled the Nazis and the Japanese. (Those cartoons are really hard to get today.) Then there were the Three Stooges, but you said only three. What did you identify with about the shows? Do you think these shows had an influence on the adult you? Tim:I loved the historical aspect of Boone and Crockett; they might have led to my eventually teaching History. The cartoons were just fun. Tim:I made up “battles” (they’d be called scenarios today) all the time. Didn’t matter if it was WWII or ACW; I would sort of stick the men around real quickly for one side and walk away. Then I would come back a little later and do the same for the other side without looking. With the Prince Valiant set (my favorite comic back then), I went back in time. Tim:I was pretty ordinary as an athlete, not great, not awful. I tended to excel in odd sports; but once I faced pitchers that could throw a curve, my baseball career went up in smoke. I played Dad’s Club baseball several years. I was on my bike all the time, often traveling miles and miles in a day with a buddy or two. I swam, I ice skated. I was a class clown; George Carlin lived my life ten years before me. I was also considered one of the “brains’ or “eggheads” (nerds or geeks, today) only for my smarts. I had a glib tongue and a slight issue with authority in the form of rules that just didn’t make good sense. I grew up in the Quad-Cites; they straddle the Mississippi River in Illinois and Iowa. In total, maybe 200K altogether back then, but divided fiercely by city limits. There was a high school for each of the cities and towns that made up the area, about 8 in all counting the Catholic HS’s, within 20 miles of each other. They were extremely blue-collar; they were the Farm Machinery capitol of the world, with over thirty factories in their heyday. My Mom is the reason I love games of all kinds. We played games from the time we were old enough to play Candyland until I left at 18 for the Navy. We played board games of all sorts and tons of card games, checkers, Parcheesi, Chinese checkers and chess. (Which I abandoned in 6th grade when I discovered D-Day.) Her father taught me poker, playing for my milk money; I had more than a few dry lunches until I learned the subtleties of bluffing. Tim:I had favorite figures in my various armies. I gave them special attributes, like having to be killed twice. Sound familiar? Parallel development is a real possibility. With only two possible opponents to play against, I am hoping that there are several games with what I refer to as “infinite re-playability” in which all three of us can play. That would mean games like one of the Ticket to Ride series (hopefully Europe with the Expansion); Serenissima, a trading game in which fighting is a last resort; Feudality, although the bots may not pick up on the humor; War of Kings, a vary re-playable game of conquest and rudimentary resource management; a complete suite of War at Sea and In the Pacific for straight up competition; Fire & Axe, because it never plays out the same; B-17, Queen of the Skies because if the bots get too easy to beat, this is a fantastic solitaire game; An up-to-date copy of Age of Wonders, the best TBS PC game I ever played that I could play against one or both, or against the AI; the complete set of Babylon 5 DVD’s, all the seasons and all the extras; for my last item I hope for a copy of the movie version of Paint Your Wagon, with Lee Marvin and Clint Eastwood.